Own the workflow, make better decisions. EarthSoft’s EQuIS is an advanced environmental data management and decision support system. 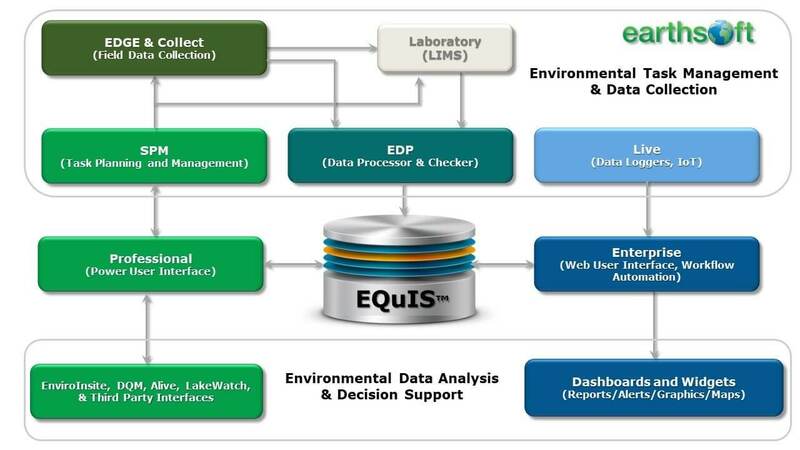 Hundreds of companies and agencies use EQuIS to manage large amounts of data pertaining to environmental chemistry, biology, geology, geotechnical, hydrology, limnology, air, and associated compliance monitoring activities. EQuIS accommodates a variety of sample types depending on legislative-driven or scientific goals. 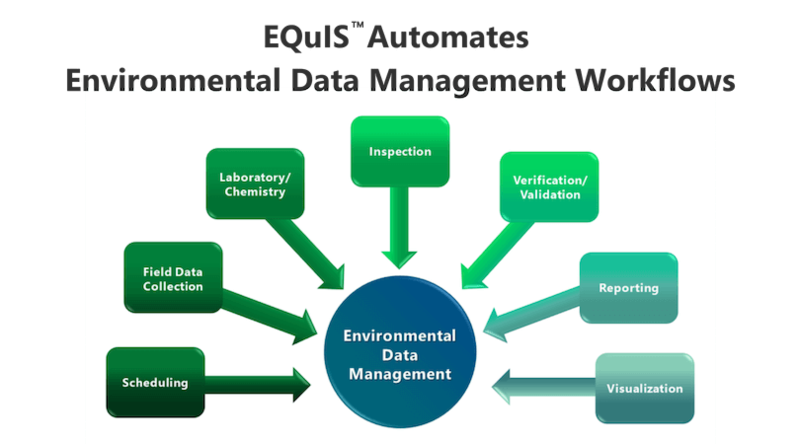 EQuIS supports the complete environmental data workflow for a variety of project requirements including task management, field data collection, analytical data checking, data verification and validation, reporting, graphics, and visualization. EQuIS EnviroInsite has superior data visualization and reporting capabilities. EQuIS also interfaces to Esri and Bentley software and exports to other third-party software. EQuIS is used by many clients (public and private sector, and their consultants) with large portfolios of facilities or properties. EQuIS is widely considered to be the de facto industry standard because of its very large client base. Many US federal and state regulatory agencies use EQuIS. EQuIS data checking requirements have been written into multiple government, industrial, and subcontractor agreements. EQuIS consists of a suite of software applications. EQuIS Professional is a desktop application that is typically used by trained data managers and scientists for importing and editing data, with advanced data analysis and modeling, providing ultimate power and flexibility. EQuIS Enterprise is a web application thin-client that is typically used by managers, auditors, executives, and laboratories.